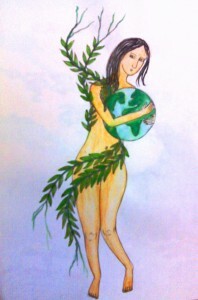 For Episode 10 Elizabeth Jeremiah is BACK, and this time she is perplexed by ecofeminism yet strangely drawn in by it. We also learn about a future successful collaboration between women in the Solomon Islands and women who live by the Irish Sea. Our news story today looks at Ireland and what the Irish Environmental Protection Agency says is already happening and is likely to happen as the effects of climate change are more deeply felt. Full transcript below. Listen here or on iTunes, and Stitcher. What Impact will Climate Change Have on Ireland? 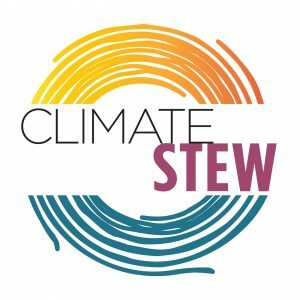 Wow this is episode 10 of Climate Stew, thank you for listening and sharing this quirky climate change show with your friends. Listenership is growing. Lots of folks are tuning in on iTunes, Stitcher, and at Climate Stew dot Com. Let us know how you listen. This episode Elizabeth Jeremiah, that Bible-toting preacher is back and she has a thing or two to say about women environmentalists. No surprise she is shocked by feminists pursuing eco justice but strangely she can relate. Also great news from the future about partnerships forming between women around the world. But first the news. Today’s climate change news story centers on Ireland. The Irish Environmental Protection Agency has been tracking climate change and projections of how global warming might affect Ireland by the end of this century. 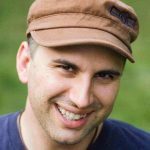 The biggest noticeable changes to date have included a temperature increase: Temperature rose .7 degrees celsius or 1.26 degrees Fahrenheit between the years 1890 and 2008. This has led to less frost and regional changes in annual rainfall bringing some heavy storms. The immediate effects has led to a longer growing season. Some policy makers also see a potential growth in tourism as the holiday hungry escape the heat that will bake people in Southern Europe. Wow, weird, the thought of silly beach holiday tourists drinking loads of beer and tanning beautifully on Irish beaches. Should we not begin to globally address climate change, Ireland is projected to face more intense storms and severe rainfall, sea level rise, summer water shortages in the east, increased likelihood and magnitude of river and coastal flooding, and adverse impacts on the fishing industry due to warmer waters and acidification. 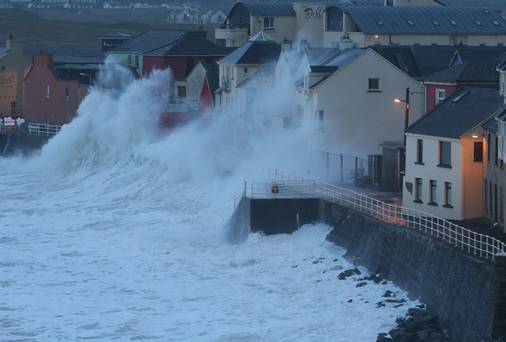 The Joint Research Centre’s (JRC) ‘Climate Impacts in Europe’ recently estimated that Ireland, along with the UK, Belgium, and the Netherlands will be most affected by sea level rise tripling costs brought on from winter storms. Who are the biggest polluters in Ireland? Both transportation and energy (power generation and oil refining) take second place at 21% each while agriculture is the biggest emitter of greenhouse gases accounting for almost 30% of the national total. While the only action the Irish EPA suggests for citizens to take is to lower their individual carbon numbers, only 12% of fossil fuel emissions actually come from the residential sector. The government and the business sector including agriculture hold the keys to lowering national greenhouse gas emissions. This might lead some of the Irish to take up protesting for cleaner air during their next holiday. I am Timothy Meadows. It is Saturday November 17th 2164 and time for That Day in Climate History. Over the past 150 years, the Solomon Islands nation has endured many hardships because of sea level rise, extreme weather events, and crop failures. As in many parts of the world, the effects of global warming put further stress on existing socio-economic problems. This was most clearly seen in the challenges faced by Solomon Island women who served as the primary workers in their subsistence farming culture. 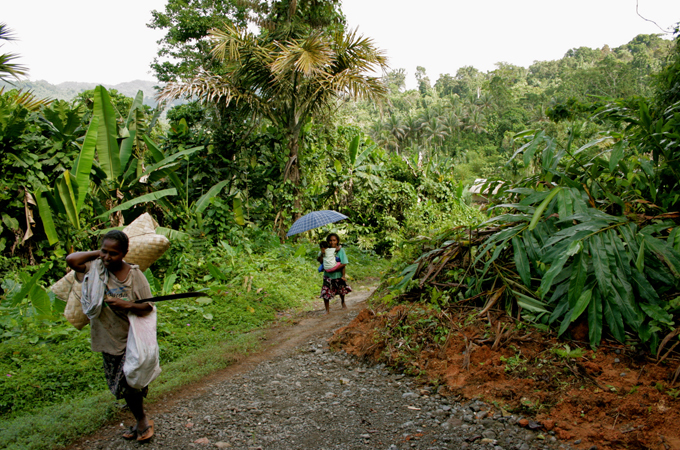 While men cleared the land, the planting, tending, and harvesting of their traditional staple foods, Taro, sweet potato, and cassava, was all done by the women. By 2014 root vegetables that would normally take two months to grow took five months. While the women farmers began to introduce new plants, it took time and money to transition these flood-resistant crops. As a result, tensions mounted. According to, Veronica Kefu, a woman farmer at the time, domestic violence increased as men complained about the crop failures. Also, many Solomon Island women had an average of five children each, thus adding to their workload and the need to produce even more food. Reading about the growing problems for women living in the small Solomon Island village of Koregu, a group of Northern Irish women from Newcastle, a small coastal city also bracing for sea level rise, started up a correspondence with Veronica Kefu and some of the other women in Koregu. As they got to know each other, they recognized their many differences but also the struggles and values they shared. They discussed the fact that women are the creators and nurturers of an invaluable workforce and yet they were devalued in that role. They also talked about their positions as mothers, wives, and sisters and the joy and burdens that those roles brought into their lives. They discussed education and contraception, and how even though affordable and safe contraceptives were available to women in both countries, poor education hindered women from having control over their reproductive rights. By 2016 an initiative started by Veronica Kefu with support from the women in Newcastle led by writer Shirley McMillan, saw the creation of the Koregu Learning Centre where women and girls improved their English-language skills, the official language of the Solomon Islands. They also learned a variety of vocational skills that led to the creation of scores of successful micro-businesses. Both Solomon Island teachers on the ground and instructors and collaborators via video conferencing from Newcastle helped equip a generation of Solomon Island girls to address the growing financial challenges of climate change. On this day in 2164, we remember that day in climate history. Advert: Climate History is brought to you by Laura Ashley, makers of fashionable and mold-resistant clothing, linens, and flood wear. And, that my friend, is episode 10 of Climate Stew. We have a full transcript of today’s show along with links to articles and information about the music we play. 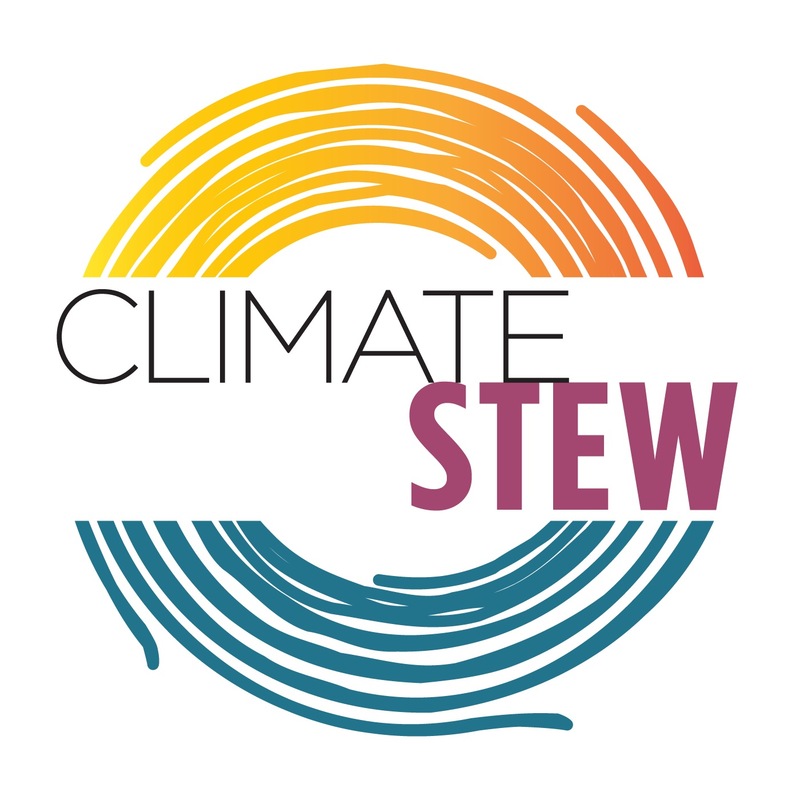 Your comments are always welcome, just visit Climate Stew dot Com. Special thanks to Shirley McMillan, Elizabeth Jeremiah, oh, and Joe G, the man who haunts my podcasting nightmares extracting, extracting, extracting and never giving anything in return, well except sage audio advice.